Plastic use continues to plague our planet, with 40 percent only being used once before ending up in our landfills, waterways and oceans. The use of plastic in products and packaging has become a critical concern for companies, consumers and other stakeholders alike. In fact, the issue continues to gain traction – in 2018, Cone named it one of our top 10 trends of the year. Companies of all shapes and sizes are making major commitments and innovations to solve for the growing problem – from biodegradable, plastic-free hair ties to food wrapped in banana leaves as a plastic alternative. Now one company will be test-driving the bold move of going plastic-free. 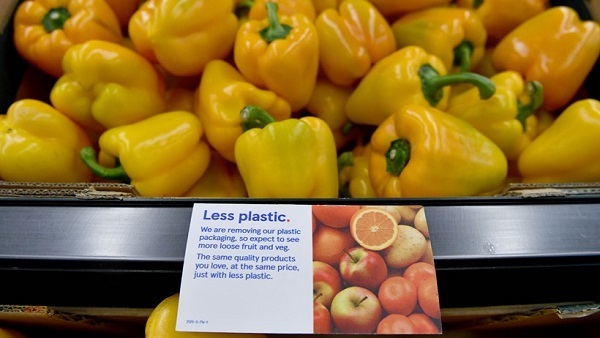 This week, U.K. grocery chain Tesco announced it will be going plastic-free in the produce aisle. The retailer, the largest in Britain, explains it will remove some plastic that fruits and vegetables were previously wrapped in, in an effort to reduce overall plastic use. The decision will impact 45 fruits and vegetables, including bananas, avocados, onions and peppers, and will be tested in a month-long pilot in two stores in the U.K. The move also ladders up to the company’s announcement last year that it would ban non-recyclable plastic packaging by 2019 and make all packaging fully recyclable by 2025. And if the move catches on, it could have a major impact: The Evening Standard reports major supermarkets are responsible for producing 800,000 metric tons of plastic packaging waste each year. The plastic issue is big – and growing by the minute. Earth Day Network reports one garbage truck of plastic is dumped into our oceans every 60 seconds, and plastic waste is actually set to increase tenfold by 2020. The job to reduce plastic falls to each and every stakeholder – from supplier to consumer – and we must all do our part to make a difference. This is not the time to be timid: In order to break our reliance on plastic, companies must think big and bold – innovating products and packaging to truly curtail this major global concern.